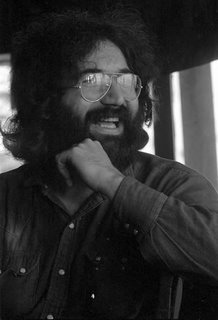 Forty years ago this weekend, on July 3rd 1970, I spent a couple of hours talking with Jerry Garcia. I was 19, and he was as close to a hero as I had. How my own journey came to brush up again the Grateful Dead’s long strange trip now seems a tale ripe with mythology, like the songs they sang. I sat on the floor, awaiting the Dead, staring at the dayglo patterns painted on the grills of all their Fender amps, blinking in the beams from the lightshow. They seemed an outrageous public display of the secret realms we freaks snuck into from time to time. Did they promise magic? The band performed their medley from Live/Dead. It was a music I’d never heard before: controlled chaos with the focus always returning to Garcia’s guitar. He teased in Dark Star, tracing lackadaisical spiderwebs across the primordial ooze, but somewhere between “St. Stephen” and “The Eleven” he really got down to business, blazing out scalar passages whose direction was always up, higher. 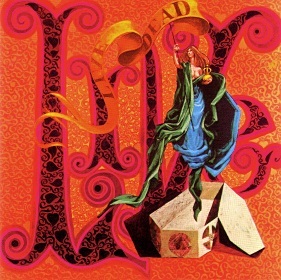 The Dead created an acid trip in sound, and more. I heard the musical realization of every incantatory adventure I’d ever dreamed of since I was a kid reading books like Ray Bradbury’s “Something Wicked This Way Comes.” And I’d found my guitar hero. I’d flirted with Mike Bloomfield, and of course Jimi Hendrix. But now I had my man, the guy every guitar boy needs to copy as a necessary stage in becoming his own guitar hero. 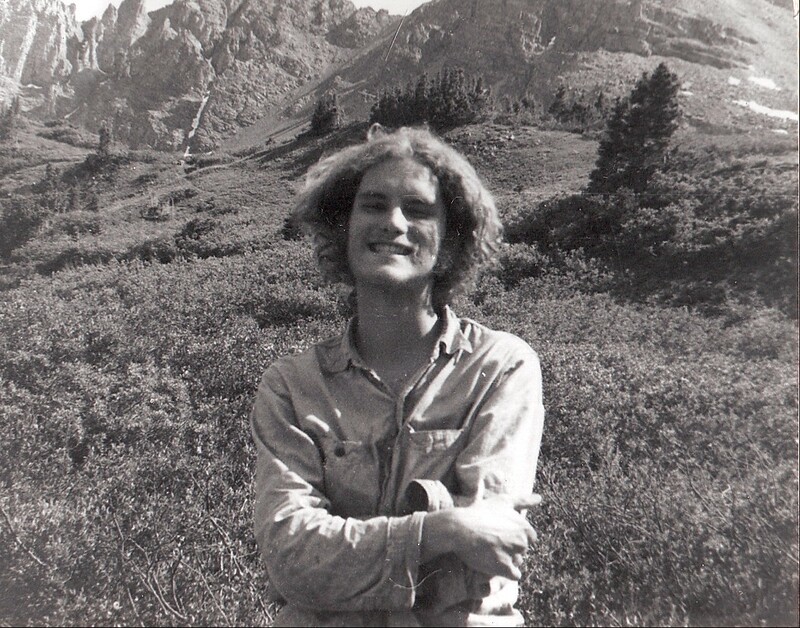 By the time we drove back to Wesleyan, we were confirmed Deadheads (although they wouldn’t start calling us that until a few years later). After the concert, my friend David got in touch with the Dead and arranged for them to play a free outdoor concert the following spring at Wesleyan. On May 3rd 1970, they played at the foot of Foss Hill to a crowd of thousands. Their concert became legendary: not so much for the music – it was cold and rainy, and they were having one of their notorious off nights – as for what happened the next day. We heard hints of it in between songs when guys grabbed the mike and yelled something about a strike. The next day, Wesleyan was among the first to join the strike that would soon hit colleges across the country. Though Nixon’s escalation into Cambodia was the ostensible reason for the strike, by noon there was one closer to home – 4 college kids murdered at Kent State in Ohio. I wasn’t alone in wondering if the Dead’s appearance at Wesleyan hadn’t somehow precipitated the strike. Classes were canceled for the rest of the semester. The school year bled seamlessly into summer. I lounged around campus with nothing to do. One day I was ambling down Foss Hill, past the spot the Dead had recently played, when I saw a school bus, painted robin’s egg blue. I immediately flashed on Kesey’s Merry Pranksters, on Garcia and the Dead. Things being loose the way they were in those days, we somehow got invited to park the bus in each outdoor venue , and attend the concerts - free. We acted as a kind of sideshow, festival goers boarding the bus to see us sprawled out on mattresses. Far out, real Hippies! Actually we were college students, though our hair wasreal long. In Winnipeg we got invited on the train, which was stopped on a siding. I climbed on (You’re either on the train or off the train), wandering through cars where famous musicians lay on bunks recovering from the previous night’s party. 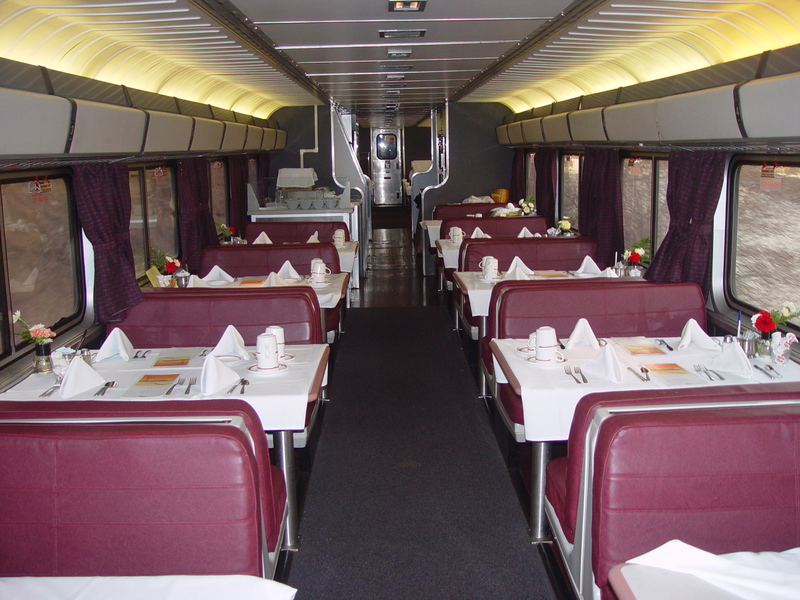 I opened the door into the dining car, and there, sitting like a couple of normal everyday freaks, mortals, just eating their scrambled eggs and toast, were Jerry Garcia and Phil Lesh. I stood thinking furiously for something to say. Phil got up, excused himself and fled down the car. “Could I, um, interview you?” Up to that moment I’d never had a thing to do with the paper, but never mind, now I was a reporter. Though I had plenty of questions, it was no interview, just us rapping about music. He told me about the Tibetan throat singers, I told him about the Javanese Gamelan and drummers from Ghana at Wesleyan, and suddenly had an idea – Hey you guys could come back and jam with them…”Yeah, arrange it, we’ll come.” (The music department later shot down the idea). As the conversation lengthened to over an hour, and Garcia showed no signs of boredom, I felt this glow growing in my chest –a feeling of acceptance into the tribe of freaks, of validation for the lifestyle I’d embraced. For if ever there was a king of the hippies, he was Jerry Garcia. And smiling like that – and being able to play guitar like that – I knew surely that he must be a good and wise king. That hadn’t been breakfast they’d been eating, as in just woke up and had breakfast. That was breakfast after staying up all night and finally coming down from acid. Though I’m sure that was a common enough occurrence for him, it struck me as if I’d gone on a pilgrimage to see St. Francis, and seen the stigmata pop out on his hands. The train started hissing and snorting, like it was going to leave. I had to get back to the blue bus. “Hey, great to meet you.” “You too, man!” At that moment the door at the other end of the car slammed open and a human whirlwind blew through the car and out the other door, trailing a slipstream of bright scarf. It wasn’t until I was back on the bus and inspected the image etched on my eyeballs that I realized that grinning storm was Janis Joplin. In the fall I remembered Jerry’s words, “Get your friends to play.” My friends and I had been screwing around for years trying to get a band together. We could never find the right drummer. Within days of getting back to school we found him, and finally had our band. And the memory of Jerry sitting, grinning across from me on the train, came to me when the going got tough in the music business, “That’s what I did…” After hearing that, I could do it too. The movie “Festival Express” is available on DVD and includes great footage of both stage performances and Janis, Jerry and members of the Band partying on the train. Phil Lesh’s memoir Searching for the Sound recounts life on the train in some detail. I was on the bus at one point. Summer of 1969, we cruise all the way down highway 101 to San Jose. We ride into S.F. in a panel truck with an underground cartoonist to the Filmore West where we watched the Dead and the New Riders of the Purple Sage until early in the morning. I was a hick kid from Idaho and this was quite an impressive night. This post of yours was a fine chronicle of a moment in time with Jerry. You have some stars of your hippie resume, I can tell. I've been waiting for this "freaks,"story. Great. "inspected the image etched on my eyeballs that I realized that grinning storm was Janis Joplin." Magic. More on this subject please. Despite having read enough about old Jerry to realize he ended up quite sad -diabetic and stagefrightened, self-medicating with junk living alone in his basement burning cigarette holes in the carpet - I still miss the old guy. "W will survive..." He didn't, but we will. For a while longer, I hope. Brilliant and literary slice of time you've captured here. The writer I am appreciates the story and, of course, the writing ("...trailing a slipstream of bright scarf"); the musician I was just smiles and says "yeah, man." Wonderful read. What an incredible adventure and excellent writing. All of you are such good writers (in different ways.) Your compliments give me strength for the next draft of my memoir...number 9 is it? Or is that just an old Beatles song. The writing police are going arrested me one of these days for all these...ellipses. wow! what a great story. I can imagine you there with Jerry, just talking about everything. what an amazing time. thanks for sharing this! Strange times - I was at Ohio State when Kent State happened. Campus closed, riots persisted, tear gas drifting into my apartment middle of the night - unpleasant. Festival Express is a great movie, recommended to me by a friend last summer, great music. Thanks for the "flashback," man. Thank y'all! I hope you all get my book with all the Hippie stuff in it. Don't care if you buy it, go ahead and steal it! I sometimes think that your generation, which just preceded mine, got the last of the truly good times . . .
Love your picture. Where have you been all my life? As others have noted your writing and stories are excellent. Can't wait to read the memoir. Owl - People have been telling themselves that hooey since five minutws after the first hipster walked the earth. I thought the drummer in my band, who was 2 years older than me, had been privy to secrets I would never know. And oh, to have been at those acid tests! But I saw a movie of one recently, and it looked like no fun. The Dead played an endless dreary version of "Death don't have no Mercy," everyone staggered around like zombies, and I was so glad I HADN'T been there tripping my brains out, or I might not be able to put a coherent sentence together today. Great story. You seized the proverbial day, you did. Dosed the birthday cake...I hate when that happens! Great piece. Having been married to a Deadhead for 32 years I've heard lots of Dead stories , have seen "Festival Express" and hubby has an autographed copy of Phil's book. But your first person narrative is wonderful! Thanks for sharing it here. I was getting ready to move when you posted this so missed it but really enjoyed reading it now (and forwarded the link to my partner, who's an old Deadhead and will love it). And we loved "Festival Express" -- saw it in a local pizza-pub-movie theater (sadly now gone) and seeing it while sitting on a tatty old couch, drinking beer and eating pizza in the dark with a sympatico Bay Area audience was just perfect.